Though he passed on over two years ago, I’ve been thinking about Jesse James a lot lately. I don’t remember the exact chain of events, but somehow shortly after I started showing up at blues jams around DC at the tender age of 19, I fell in with Jesse James and The Raiders. Looking back, It was one of the best things that ever happened to me. The first night, I remember his amp being unreliable, his guitar going way out of tune, him getting belligerent after the third set break (smoking a Newport, downing a Seagram’s, and yelling at his drummer Lee to “stop messin’ with the TIMING, man!” – even though Jesse himself was speeding up or slowing down). He was running the show (sometimes into the ground), and the people who came out to listen loved every second. Adams Morgan hadn’t quite turned into the bridge and tunnel brodeo yet… it was still strong on its bohemian international flavor when I started with them. The owner of La Fourchette next door would give us amazing French food on set breaks while he rambled on about his undying love for American blues in a heavy accent; people would make the circuit of Columbia Station for jazz, any of the great African dance halls on the block, Madam’s Organ, Mambo Room… there was always good, authentic music being played, attracting crowds of people from all over the city. 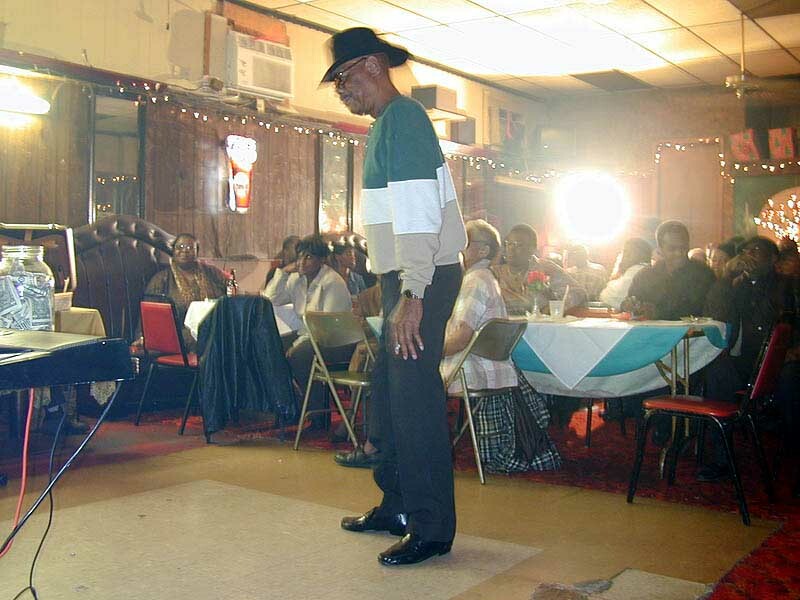 Jesse’s shows at Cafe Toulouse (“right about now its showtime here at the Cafe Too-Loose!”) were a cornerstone of it all for years. My first night with him was a rollercoaster, and I dove in and played what I could, then backed off when I didn’t know where the song would go next. It wasn’t the best playing I’d ever done, but it was the best listening. At the time, I didn’t even realize it, but I was in the middle of an American Soul Music master class. Within only about a month, I knew half of Otis Redding’s catalog. Albert King, Junior Walker, Rufus Thomas, Eddie Floyd… sometimes I had no idea who wrote the songs or how the originals actually sounded until years later, but I damn well knew the songs note for note. His bandmates had been with him for decades, but I never felt like the odd man out. I was 45 years younger than them, but we joked like old friends. “Brother Jeff” had joined “Brother Lee” and “Brother Turner” as his permanent backing band. I really never thought of it as “Look at me! I’m playing with this cool old black guy!”, but I understand that a lot of his friends were wary. We’d usually play outside the scope of the established “DC Blues” scene, and do big shows in old R’n'B clubs of the more segregated parts of NE and SE DC. I’d get stared down by doormen (“I think you’re looking for 14th St. NW, this is 14th St. SE”), or visibly make some folks uncomfortable as we loaded in and enjoyed a pre-show meal (“Sorry, all we have is soul food”), until the music began… then we were all friends. A massive 4th of July block party in Anacostia will undoubtedly go down as my favorite memory of *real* DC. We played on the front porch of his friend’s house. The whole neighborhood was out dancing, grilling, carrying on in the street… then we watched the fireworks over the river while old LPs spun on the record player. It was 2002, but it may as well have been 1967. He never bragged about his career… I think 95% of the people who came out to the clubs to see him didn’t even know he was there from the beginning… but it didn’t matter. Jesse James and the Raiders was his world now, and it was going strong. Every now and then he’d show up to a gig in a full cowboy-getup, shooting cap guns at women in the audience and strutting around like he was in a duel during his solos. Putting the guitar down and dancing with the young women in there with their nervous dates. Thinking about it now, he could barely play lead guitar worth a damn (he was actually Bo’s bass player). But none of that mattered. Even into his 70s, He was a true soul showman, playing with heart and conviction, making audiences feel connected with everything the band was doing through nothing more than his gravelly, infectious laugh.